This entry was posted in Coaching Interview and tagged coaching basketball, job interview on May 7, 2015 by admin. This entry was posted in Coaching Interview, Motivation and tagged coaching basketball on January 25, 2015 by admin. This entry was posted in Coaching Interview and tagged coaching basketball on January 4, 2015 by admin. This entry was posted in Coaching Interview and tagged coaching basketball on October 31, 2014 by admin. This entry was posted in Coaching Interview and tagged coaching basketball on October 30, 2014 by admin. What Should You Look For In People You Hire? This entry was posted in Coaching Interview and tagged coaching basketball on August 14, 2014 by admin. This entry was posted in Coaching Interview and tagged coaching basketball, coaching interview on May 30, 2014 by admin. This 110 page book details how to win the Coaching Job Interview game. Details are given on how to prepare for the interview. Lots of little known secrets and techniques that will win you that coaching job you are interested in. Learn how to answer the hard questions, learn how to answer what interviewers call the “impossible question” and more. Learn the questions you need to ask during the interview and when to ask them. Learn the most often asked questions and what the interviewer is really looking for with the question. Tons of questions and answers. Also, learn the secrets to the Paper Cut: your resume, cover letter and follow up. Learn what to do with the interview just isn’t going the way you think it should be going. And sure fire ways to make a great positive impression on the interviewer AND MUCH MORE! 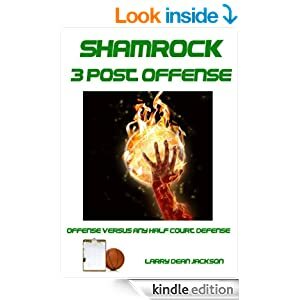 This entry was posted in BOOKS, Coaching Interview and tagged coaching basketball, coaching interview on March 31, 2014 by admin.